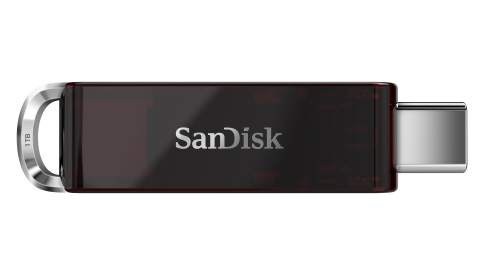 Western Digital at the Consumer Electronics Show 2018 (CES 2018) introduced the world’s smallest 256GB SanDisk Ultra Fit USB 3.1 Flash Drive, which also comes in other capacities. “Our lives are increasingly connected to and enriched by pictures, videos, music and ideas,” said Dinesh Bahal, vice president of product management, Client Solutions, Western Digital. “From the parent filming a school recital on their smartphone to the drone enthusiast or pro photographer, our range of consumer solutions are designed to help everyone preserve, access and share their digital world. SanDisk Ultra Fit USB 3.1 Flash Drives will be priced at $21.99, $34.99 , $59.99 (Rs. 3,820 approx. ), $119.99 (Rs. 7640 approx.) and $149.99 (Rs. 9550 approx.) for 16GB, 32GB, 64GB, 128GB and 256GB capacities, respectively. It will go on sale soon. No details about the cost and availability for SanDisk 1TB USB Type-C flash drive yet.